Cargo packaging (freight packaging) is the last step before loading into any carriage, and it is a very important factor to consider when shipping goods. Previously, the only function of packaging was to protect the shipment. In modern transport, other considerations must also be taken into account, for instance, automated storage and mechanical handling. Different types of shipment packaging will affect the size, weight and fragility of your goods. Prior to your order you shall clearly specify to your supplier which export packing you require. We suggest you should take some time to reach an agreement with your supplier for how to pack your cargo properly. Because it’s the best insurance against cargo damage during the transportation, especially for LCL shipments. It would be natural to assume that the Chinese suppliers would have this figured out. NEVER make this assumption or you might end up bankrupt. Packing requirements vary, depending on the commodity, transport type, weather conditions and regulations of the country of origin or destination. Besides, cost is one of the top things to consider. Here are 4 types widely used in freight packaging. Paper and cardboard packaging is limited by the weight that it can withhold, as well as the ease of transporting it due to its incompatibility with common lifting equipment such as forklift trucks. There are also issues with its performance in extreme weather conditions, as it is likely to suffer damage in humid, wet or very cold conditions. It is however very cheap and easily recyclable. This is the method that is used for shipping clothes, books, plastic and other things that are not breakable. This packaging method is often a reasonable alternative to crating and used quite often in the shipping industry. 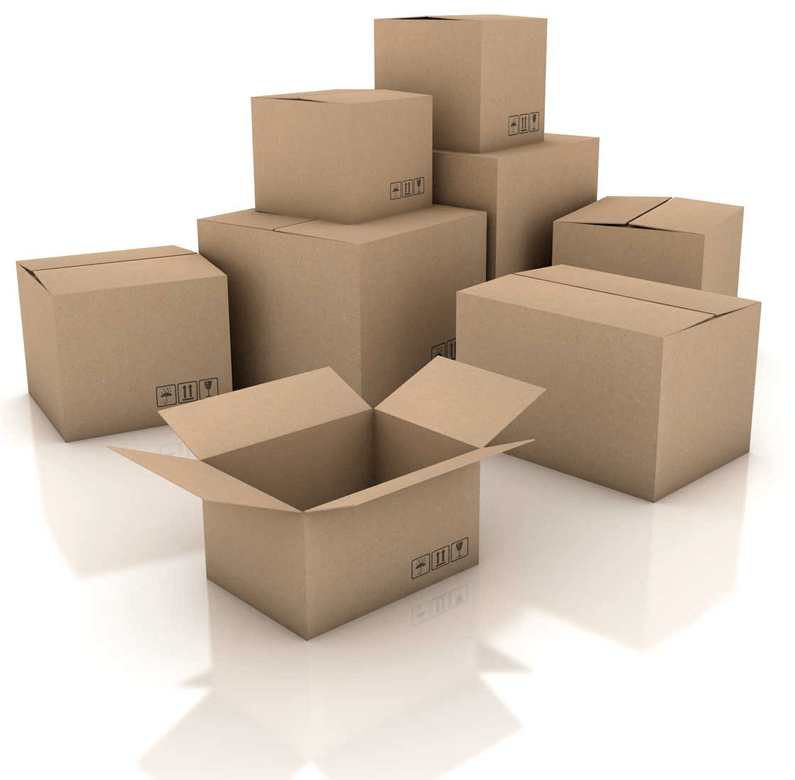 If moving furniture or other larger items, to ensure the protection of the finishes and delicate parts, use quality styrofoam and bubble wrap around these areas, box items securely so there is no movement inside, palletize and use strapping to hold in place, metal or nylon strapping bands are preferred. This packaging method is used more often for fragile items such as: glassware, china, and smaller items that need extra care. These items should be separately hand wrapped in a commercial bubble wrap individually. Then these items are placed inside an inner shipping box, which will then go inside an actual shipping box with approximately 2-3 inches or more. Crating is usually used for larger and heavier items, or as the best guarantee against breakage as well as high valued items that could be damaged easily. Whether wooden crate or plastic crate, they can well play a bracing role. There is usually a higher cost for this method of packaging, but the advantage is well protected. Most ports, warehouses and other distribution terminals are designed with pallets in mind. Palletizing is used for consolidating smaller items together, after they are boxed, and is necessary for large items and heavy shipments. This means the items are placed on a heavy wood foundation, shrink wrapped, strapped in place. When using this method, a lift gate or dock is needed and forklift is used to move these items. There is generally an extra charge added for the liftgate service. Standard pallets are 40″ x 48″ with the goods not to extend over the pallet being used or exceed the height of 8 feet. Special pallets must be made for goods larger than 40″ x 48″. Loads wider than 7 feet will require a forklift to off-load the freight. If your freight is under 150 lbs, and your business does not have a dock, the load may be broken down from the pallet and then off-loaded by hand. Attention: Wooden pallet packaging is carefully regulated with over 200 countries now requiring ISPM 15 certified. They must find the IPPC mark on the pallet, or big trouble happens. 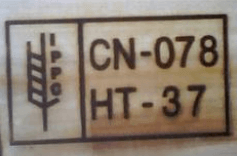 An example of an ISMP 15 stamp, showing the nation of origin, its unique registration number and how the wood has been treated, along with the International Plant Protection Convention (IPPC) logo. Freight packing with flexible packaging bags is commonly used for bulk products. There are a number of materials available for shipment packaging. Some of them with new technologies and more advanced materials are suited to bearing greater weights, surviving extreme weather conditions or minimizing excess weight and space. Type of carrier – What are the various types of carriers to be used before the goods arrive at their destination? Usually, truck and ship are used in sea transport. Types of hazard – For each type of carrier, what hazards are the shipments likely to encounter? For ocean shipping, this would include the type of storage, loading and unloading facilities, route, time of year (summer, winter, etc.) port reputation, etc. Cost factors – As well as ensuring maximum protection for the goods being shipped, the exporter should minimize transportation costs by using lightweight, least bulky materials etc. Custom requirements now frequently demand specialist attention. So if your country has particular regulations for international shipping, make sure keep your supplier noted. For example. Palletization is a must for shipping to Saudi Arabia. Because if not accord with some regulation, it is very likely that they will not be allowed into the port of import. It is then possible that you will have to either arrange for the return of the shipment, the destruction of non-compliant packaging or the treatment of non-compliant packaging. This can be very costly, time consuming and greatly affect your supply chain. Besides, in some importing countries, import duties are based on the gross weight of the item, including the interior and exterior containers and packing material. An allowance for tariff purposes is given for “tare” (the difference between the gross and net weights) and so both weights should be shown on the commercial invoice. If you have options on packaging types for your freight from China, we strongly suggest that you palletize your goods to minimize the possibility of damage. You will benefit from the extra steps taken to properly package your freight. After the agreement between the buyer and the shipper, it is the shipper’s responsibility for packaging the goods correctly. Shrink wrap, cartons, corrugated boxes, crates, pallets, strapping or banding is acceptable packaging for the freight industry. Just work closely with your China supplier, combine your practical experience together, you’ll get your goods at the destination safely. Interested to dive into this topic? There are two references we recommend. 1. From FedEx, including air freight packing. 2. From Hapag-Lloyd for container packing.